What does the code do exactly? User-defined ‘replace text as you type’ entries, including formatted ones if the active control is a rich edit. Conversion of ‘straight’ quotes into ‘curly’ (‘smart’) quotes. Conversion of hyphens to dashes: two hyphens in a row (–) turn into an em-dash, a hyphen with a space either side ( – ) becomes an en-dash with a space either side. Conversion of 1/2 to ½, 1/4 to ¼, and 3/4 to ¾.
Auto-indentation for rich edit controls — in other words, allows the user to set the active paragraph’s left- and first-indent properties by tabbing and backspacing. In essence, the code works by trapping the KeyPress method (OnKeyPress event) of the active control, testing for a trigger key that will lead to correction testing proper kicking in. The initial trapping, however, is ‘manual’ in the sense that the TAutoCorrectEngine component does not actively ‘seek out’ key press events — it needs to be told about them. What’s the quickest way to see it in action? Download the code from here (EDN registration required — it’s free and relatively easy to do though), open up the ‘AutoCorrect demo and design-time package’ project group, and run the last project listed (AutoCorrectDemo.dpr). Since the TAutoCorrectEngine component is created at runtime for the demo, no installation is required. How do I use the code myself? Firstly, compile and install the design-time package, dclCCRAutoCorrect.dpk. This should lead to five new components being added to the component palette: TAutoCorrectEngine, TComboBoxWithAutoCorrect, TEditWithAutoCorrect, TMemoWithAutoCorrect and TRichEditWithAutoCorrect. Ensure CCR.AutoCorrect.dcu and CCR.AutoCorrect.Consts.dcu end up somewhere in your library paths — the easiest way to do this is to add the component’s directory as a library path itself. 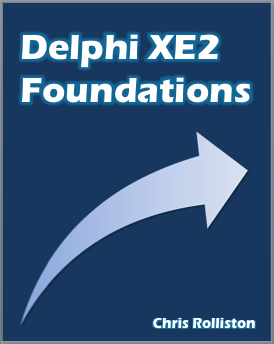 In Delphi 2007, you do this by going to Tools|Options, Environment Options -> Delphi Options -> Library – Win32, and clicking on the ellipsis button for ‘Library path’. Create a new VCL forms application and add a TAutoCorrectEngine component to the main form; double click the component to add some custom ‘replace-as-you-type’ entries. Add one or more TxxxWithAutoCorrect controls to the form, and assign their AutoCorrectEngine property to the TAutoCorrectEngine component. But I don’t want to use your custom descendants of TEdit, TRichEdit, etc.! No problem — you’ll just have to do a bit of manual work, calling as appropriate the KeyDownOccurred, KeyPressOccurred and UndoOccurred methods of the TAutoCorrectEngine component. The last of these is best done by defining an undo action (i.e., a TAction with Ctrl+Z as its shortcut), UndoOccurred being called immediately after the undo operation is performed. As for the other two, you can either handle the OnKeyXXX events of the controls themselves or (if you set KeyPreview to True) the parent form — in the second case, pass ActiveControl as the first parameter to KeyXXXOccurred. See the main demo for an example of all this — the process is simpler than it may sound. Target Delphi versions: separate versions for Delphi 7 on the one hand, and Delphi 2006 or greater on the other, are included in the ZIP — both versions’ functionality and implementation are almost identical however. Note that v1.0.2 fixes the smart quoting support for Delphi 2009+. Turbo Delphi Explorer compatibility: since you don’t need to install TAutoCorrectEngine to actually use it, and adding custom entries at runtime is pretty easy. Check out the main demo, which doesn’t use a design-time instance of the component and so can be open and run from inside the Turbo Delphi IDE. Rich edit bugs: note that the TRichEditWithAutoCorrect class works around bugs in the underlying DLL the VCL’s TCustomRichEdit wraps. Specifically, v1 of the DLL (used until Delphi 2009) uncurls smart quotes when they are streamed or pasted in, and v1 to v3 of the DLL don’t load en- and em-dashes correctly, loading them as hyphens. I love the component, its very easy to setup but unfortunately it doesnt work with the TMS components, do you have any plans of adding support for them? Hi George – thanks for the complement. Unfortunately, I don’t use TMS components, so supporting them myself won’t be in the offing. That said, how are they implemented – in particular, are they custom controls from the ground up, or are they derived from standard Windows ones? I ask because my source internally assumes WinAPI EDIT or RICHEDIT classes to get and set the selected text and/or formatting, an assumption that would need to be changed to support anything that’s ultimately not a wrapper around standard Windows controls. What I *could* do, though, is to add hooks that would make possible supporting custom controls if linking code were written. I guess they have a custom implementation of their controls since they have many non standard options, I will make a query to their support about this.